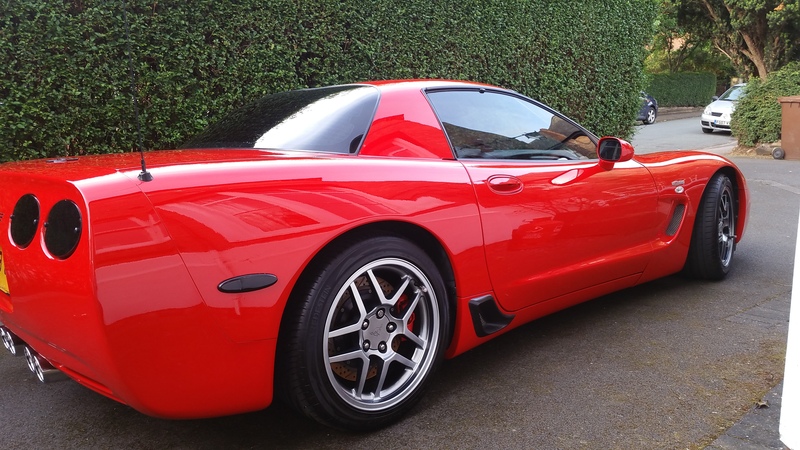 The is the later Z06 model with a 5.7 litre V8, pushing out 405 bhp. Top speed is 186 and 0-60mph in 3.9 seconds. This car was imported to the UK in 2005 and has had 3 previous owner since then. I've owned it since October 2016. It's used as a daily driver (weather permitting) but with work only a mile away i'm only doing 2000 miles a year. Which is just as well because the town journey is only returning circa 10 mpg. On a run if I can stick to 55 mph (that's a big IF mind) I can get just over 30 mpg.